EdgeWave has collected a Cyber Defense Magazine InfoSec Award for its leading web security solution iPrism. Cyber Defense Magazine is the leading electronic information security magazine and a regular sponsor of the RDA Conference – The biggest Infosec conference in the world. The magazine has 100,000 monthly readers and provides invaluable advice for information security professionals and is the leading source for IT security information. Throughout the year, Cyber Defense Magazine reviews hundreds of products and gives readers impartial advice on the best cybersecurity products on the market. The best companies and their cybersecurity solutions are recognized through its annual awards program, which is now in its fifth year. Companies can submit their products for consideration for an award and an independent panel of judges reviews the submissions and selects finalists and the winners of each category. The judges are all CISSP, FMDHS, CEH, certified security professional who vote for each product after conducting a thorough review of the company, its data sheets, white papers, product literature, and other market variables. Each product is assessed for its range of functions, usability, level of innovation, and ability to protect against cyber threats. At this year’s awards, EdgeWave IPrism Web Security was named winner of the Content Management & Filtering Solutions category, picking up a Best Product Award. EdgeWave Prism is a secure enterprise class web gateway solution offering real time protection against malware and malicious websites via its URL classification system, iGuard. iGuard uses a combination of machine and human intelligence to categorize websites and identify malicious websites. “We’re thrilled to recognize next-generation innovation in the information security marketplace and that’s why EdgeWave has earned this award from Cyber Defense Magazine, said Pierluigi Paganini, Editor-in-Chief, Cyber Defense Magazine. “CDM’s recognition of EdgeWave iPrism Web Security further validates our company as an innovator. 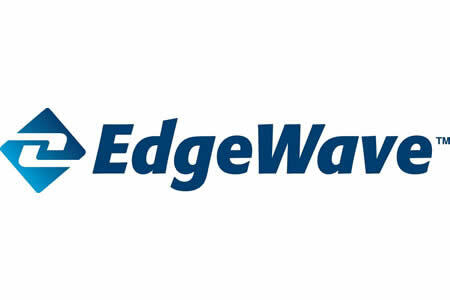 EdgeWave’s continued success in web security has driven a significant increase in customer satisfaction and growth.” says Lou Ryan, CEO and Chairman of EdgeWave.